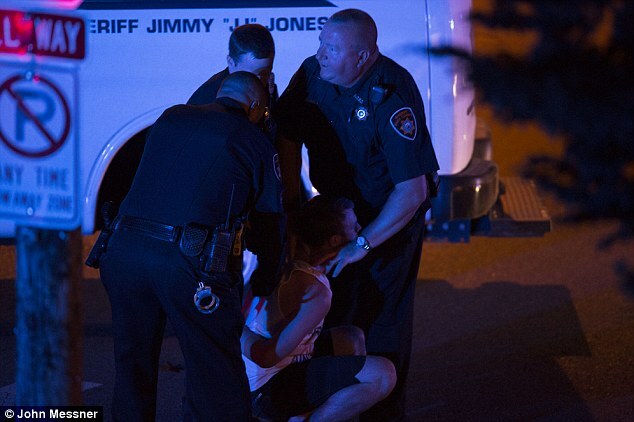 A Tennessee photographer has captured the frightening moment a police officer used what looks like excessive and unnecessary force on a college student. 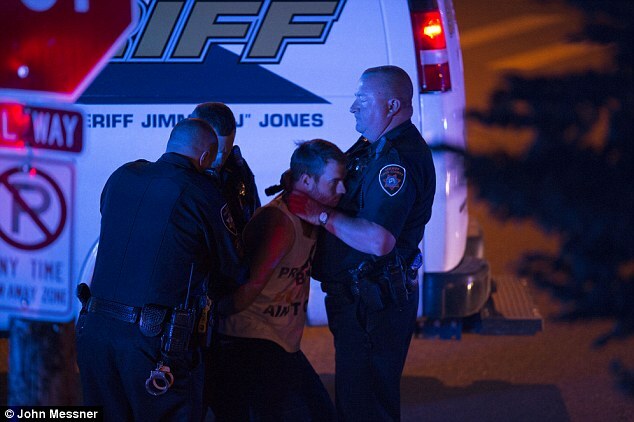 The sequence of photographs show the young man, Jarod Dotson, 22, from Knoxville, complying with Knox County deputies as they lead him to a police van at the University of Tennessee, before an officer uses two hands to choke the student until he is unconscious. 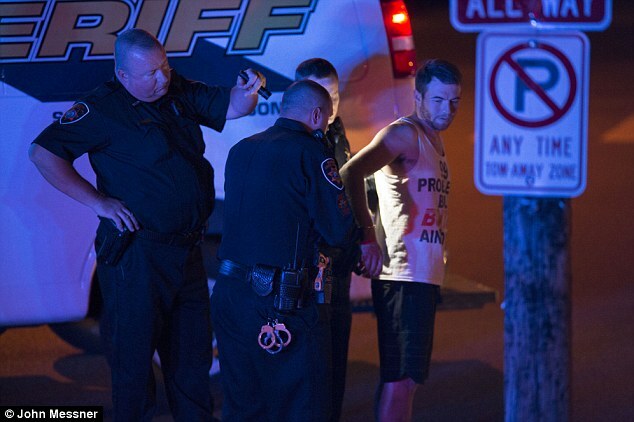 Dotson was arrested, along with a number of friends, during a wild college party celebrating after a week of finals that spilled out onto the street on Saturday night. 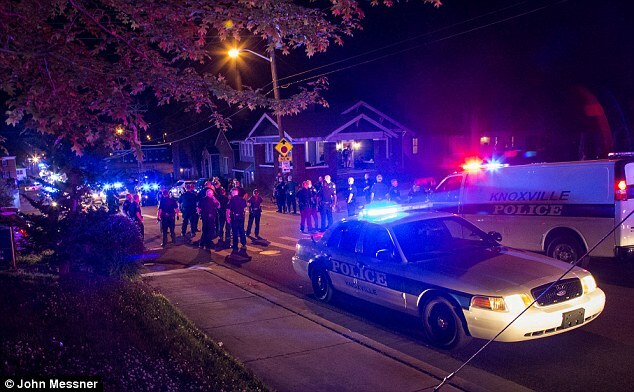 Police were called to clear the area at the intersection of 21st and Laurel Streets in Fort Sanders, an area with a high concentration of college students. 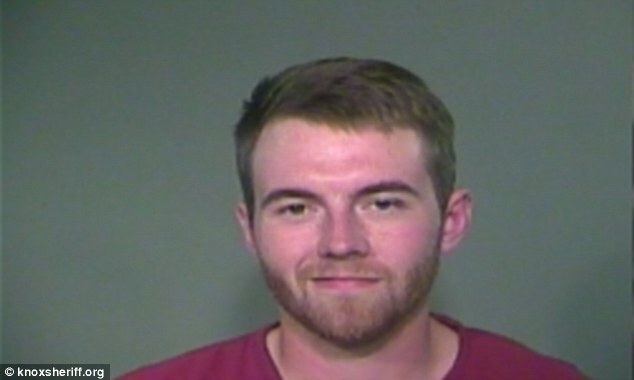 According to photographer John Messner, some college students began to throw beer bottles at police, who called for backup from the Knox County Sheriff's office. 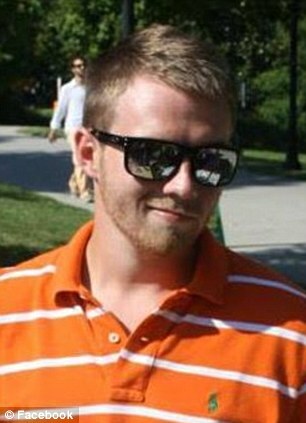 Dotson was arrested and handcuffed, then walked a block to a waiting police van at the University of Tennessee. He went willingly and did not resist arrest, said Messner. When they got to the police van, the arresting deputy's handcuffs were removed from the young man's wrists and replaced with cuffs from the vehicle. During the brief moment his wrists were uncuffed, Dotson let his arms fall by his sides. 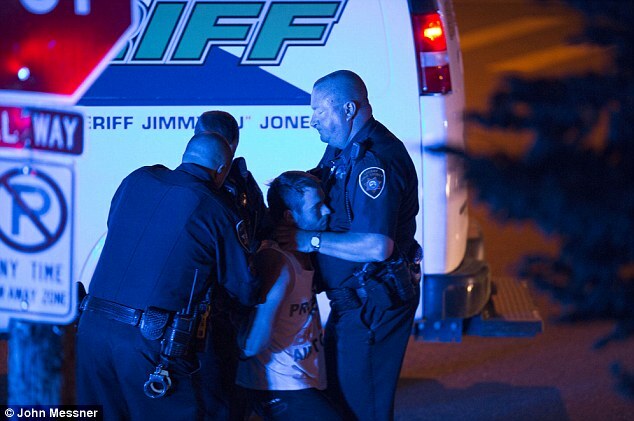 As two officers twist his arms behind his back, another deputy walks in front of the young man and wraps his hands around his neck. The disturbing sequence of shots show the 22-year-old appear to lose consciousness, his knees buckling as he sinks to the ground, while the deputy continues to choke him or activate a pressure point that renders him unconscious. The officers behind Dotson fiddle with his handcuffs even as he's being choked. 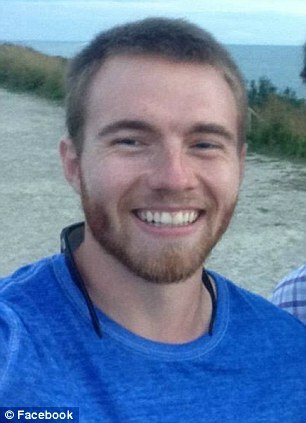 When the young man was unconscious, the police picked him up and the officer who choked him slapped him around the head a few times before walking off, reports Messner. All three officers are Knox County deputies assisting the Knoxville Police Department. A call placed to the department and Dotson seeking comment wasn't immediately returned. In 2011, Knoxville County officers stopped a carload of teenagers and forced them to run in circles around a bat he kept in the trunk of the car. Sherriff Jimmy 'JJ' Jones demoted the five officers involved in the incident. Jones' action in disciplining the officers was well-received by the community. He's now up for re-election, with early voting already taking place.